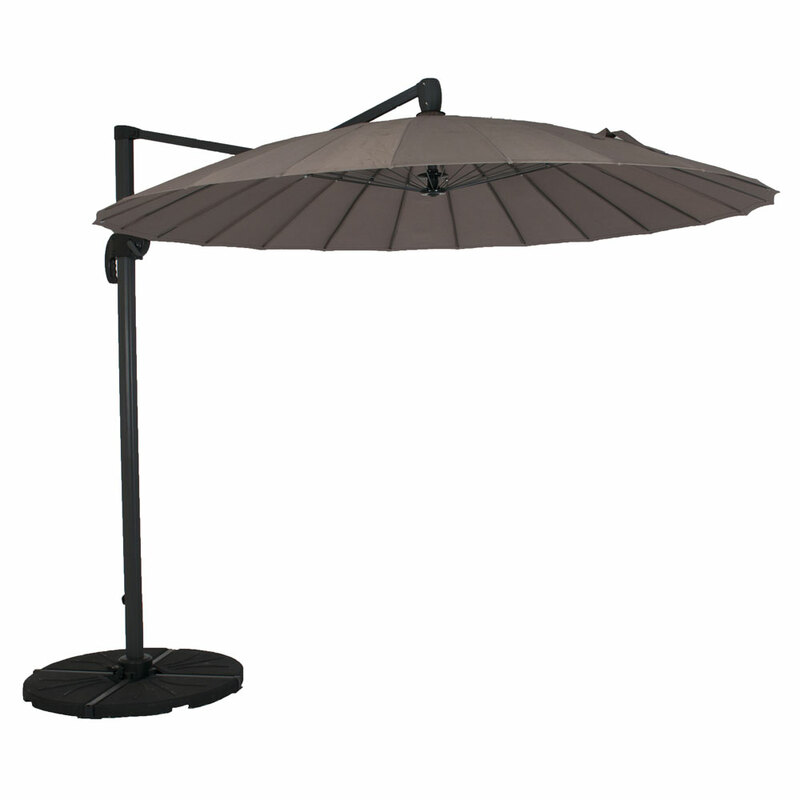 Norfolk Leisure Geisha 2.7m Round Cantilever Parasol Taupe w/Anthracite Frame from the Garden Must Haves range. 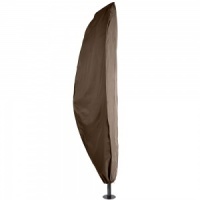 Japanese influenced free-arm parasol designed for providing shade in the garden where there is no room for a central table parasol pole, designed to stand aside and reach over the dining area. Wide 2.7m span weatherproof polyester taupe fabric canopy on a 24 rib aluminium (anthracite) frame. Strong contemporary designed frame with an easy to operate mechanism, with extending parasol reach for creating shade over a dining or patio area.